Office 365 is a cloud subscription that provides virtually anywhere access to your familiar Office applications plus business-grade email, calendar, and video conferencing across your devices – from PCs to smartphones to tablets. At its heart is Office itself—the familiar Office applications businesses use every day—now offered as a cloud service, so it’s always up to date. But Office 365 is also so much more. It’s about bringing enterprise-grade services to organisations of all sizes, from online meetings to sharing documents to business-class email. Softpro is experienced with implementation and management of Office 365. We have implemented Office 365 in a variety of organisations and industries of all sizes. We are a Microsoft Silver Partner in specialist areas of Small and Midmarket Cloud Solutions. We are able to handle the full migration to Office 365. Everything from basic account setup through to email migration and shared files migrations. This can include everything from account setup to managing DNS and migrating data. We can do email migrations from existing mail servers and services. Everything from an existing onsite Exchange server through to a migration from another email platform, we can manage your migration for a smooth transition and so that you maintain all your historical emails. SharePoint Online as part of Office 365 provides a powerful way to collaborate on documents and share resources. Softpro can assist with migrating documents into SharePoint libraries so that you can leverage your resources and collaborate on shared documents with ease. 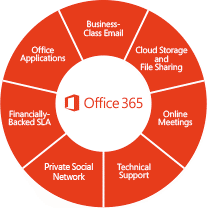 So that your staff can fully make use of Office 365 and its facilities, Softpro is able to provide end user training.